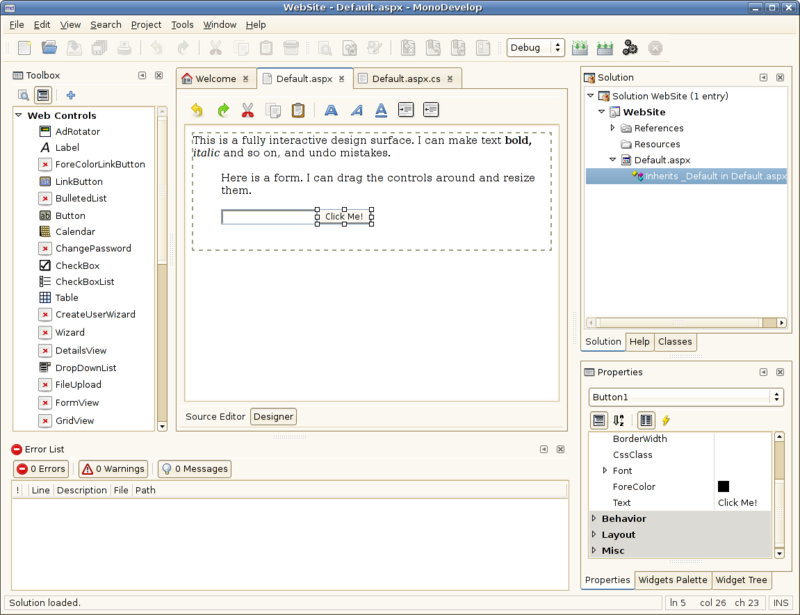 The ASP.NET Visual Designer, codenamed AspNetEdit, is a visual design surface for ASP.NET, aiming to provide Mono users with a RAD web design tool on Linux. It allows users to manipulate ASP.NET Web Controls in an HTML designer. ASP.NET Visual Designer has been integrated into MonoDevelop. If you need more information please contact the developers of ASP.NET Visual Designer (mono), or check out their product website.